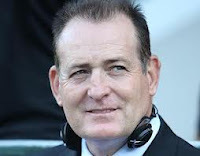 Aussie rent-a-gob David Campese is back in the news this week for all the wrong reasons. Campese has contributed in a not particularly helpful way to the debate about whether Australian cricketer Fawad Ahmed should be allowed not to wear the logo of sponsor VB (beer) on his kit for religious reasons. Tell him to go home? Really, Campo?